The German-engineered Mercedes Benz 400 is a well-built vehicle which rarely needs replacement Mercedes Benz 400 parts. But over time, or due to uncontrollable situations like an accident, you may need to locate replacement Mercedes Benz 400 parts. At one time, that was easier said than done. But recently, thanks to UNeedAPart.com and our massive network of over 7,000 parts suppliers, finding new and used Mercedes Benz 400 parts is easy! UNeedAPart.com features a powerful search tool which scans the inventories of thousands of parts suppliers, to locate the dealers who currently have the Mercedes Benz 400 part you're looking for in stock. Once the inventory is scanned, you're given a list of parts dealers where you can order the part. This all happens within a few seconds of entering the relative information! It doesn't matter if you run a professional auto repair or body shop, or you do your own repairs in your garage, UNeedAPart.com can help you locate the exact Mercedes Benz 400 parts you need. Strength of selection is what sets UNeedAPart.com apart from the competition, and it's what makes us one of the most widely visited parts locator services on the Internet. Where else can you get instant access to over 7,000 parts suppliers for your or your customer's Mercedes Benz 400 parts? Quickly find Mercedes Benz 400 parts online. Choose between new and used Mercedes Benz 400 parts. 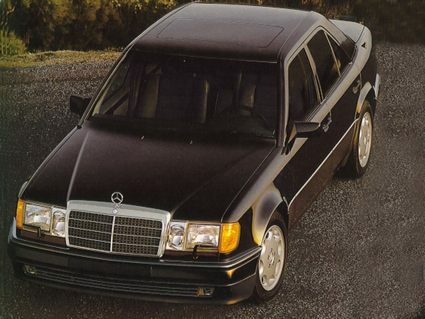 The next time you need Mercedes Benz 400 parts, try the results you get from locating the parts through UNeedAPart.com. Finding the right Mercedes Benz 400 parts is easy! To get started, simply use the Parts Request boxes at the top and/or side of the page. You will instantly be matched with auto parts dealers that meet your search criteria. UNeedAPart.com helps you find the new or used auto body parts you need in no time!